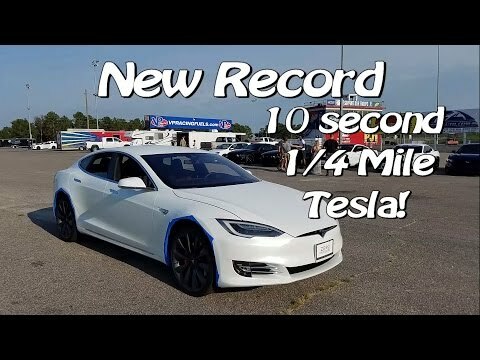 Rockingham Dragstrip with our new front end style Ludicrous Tesla Model S P90D. First time at the quarter mile with this car we were hoping to break into the 10s. Broke into a 10 second quarter mile and then beat our own record getting even further into the 10s! Stay tuned to Tesla Racing Channel for more dragway racing!